ഗ്രാസ്സ് [Mayalayam]; Rumput Sambau [Bahasa Melayu]; Kifungambuzi [Kiswahili]; Paragis [Tagalog]; Mần trầu [Vietnamese];牛筋草 [Chinese] (USDA, 2019; Wikipedia, 2019). Cynosurus indicus L., Eleusine japonica Steud. Goose grass is a close relative of finger millet (Eleusine coracana). It is considered a weed difficult to distinguish from the cultivated finger millet that makes weeding uneasy (Husson et al., 2012). Goose grass (Eleusine indica) is a short-lived tufted perennial that branches from the base and can have erect, decumbent or prostrate habit. The root system is particularly tough and difficult to pull out (Ecocrop, 2019). The culms grow to a height of 30-60-85 -130 cm (Ecocrop, 2019; Welsh, 1998; Stone, 1970). The culms are geniculate at the base, slender and compressed. The leaves are alternate, the leaf-blade is flat, linear sometines folded, 5-15-35 cm long x 4-6 mm wide (Clayton et al., 2006; Welsh, 1998; Holm et al., 1977; Stone, 1970). The culms hold 2-7 digitate panicles. The racemes are 4-10-15 cm in length. The spikelets are appressed, disposed in two rows on a single side of the rachis. 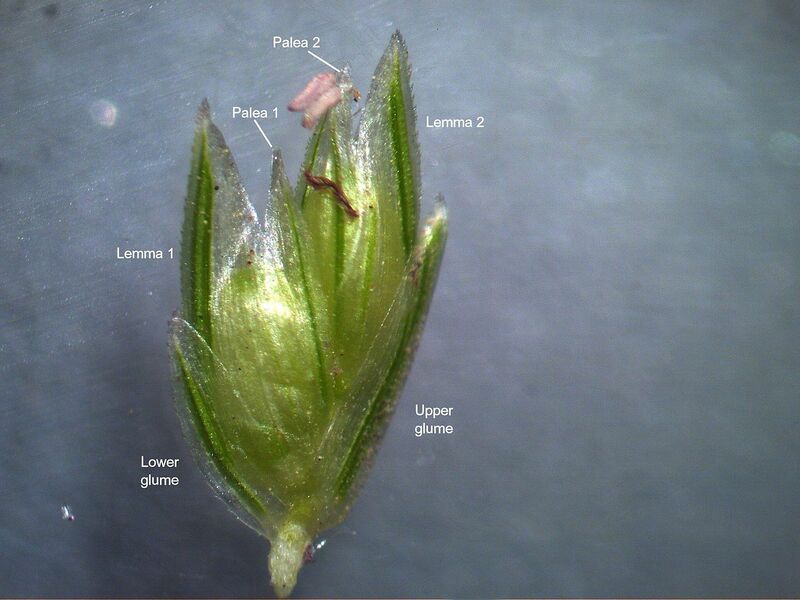 Spikelets have glumes, lemma and palea. The seed is a rugose caryopsis, 1-1.3 mm long, enclosed in a very loose, membranous pericarp (FAO, 2017). Goose grass (Eleusine indica) can be used as forage. At early stages it is palatable to livestock but becomes tough at later stages. It can be made into coarse hay or silage. The seedlings can be eaten raw or cooked as vegetables and the seeds can be cooked whole or ground into flour in times of scarcity in India (Ecocrop, 2019; Lim, 2016). 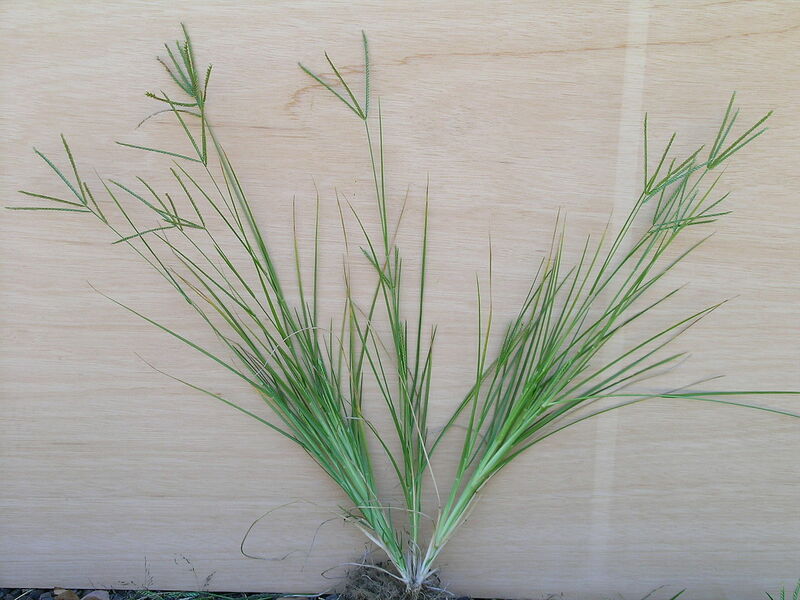 Thanks to its tough root system, goose grass (Eleusine indica) can be used to stabilize sandy soils. In ethnoveterinary medicine, goose grass is used to treat fever in ruminants (Pattanayak et al., 2017). Goose grass is a pantropical and subtropical grass. It is found from sea level up to 1200-2000 m altitude in disturbed land, waste places , along roadsides and riversides, beaches and open banks and in damp marshlands. It thrives on sandy soil and N-rich soils. 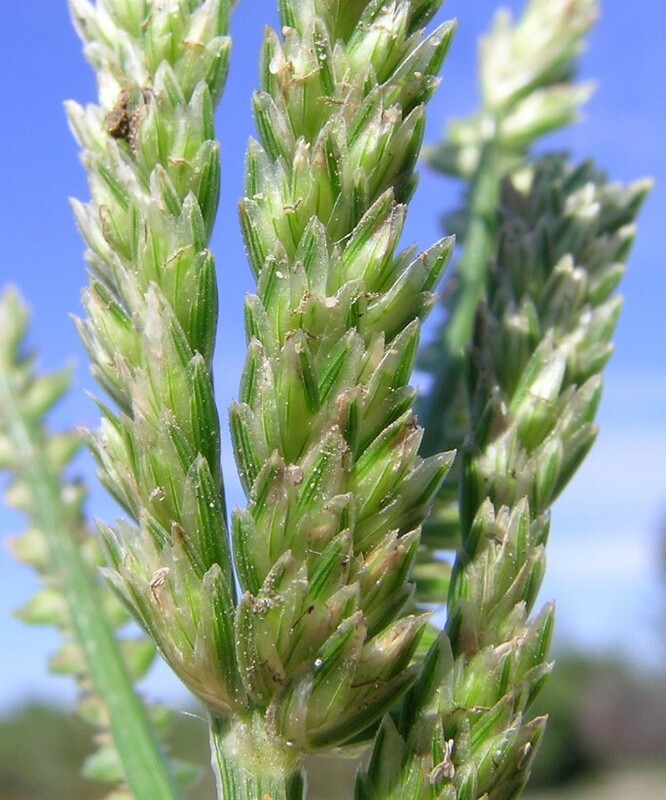 It is a threat in arable land, in lawns and in plantations and nurseries (Swarbrick et al., 1997). Goose grass is a summer, fast growing grass that optimally grows in full sunlight, in places where average temperature is 23°C and where annual rainfall ranges fom 500 to 1200 mm. Goose grass withstand some dry periods thanks to its extensive root system. It can also grow on very shallow or compacted soils (Wagner et al., 1999). Goose grass was reported to yield up to 30 tons fresh matter (Ecocrop, 2019). In Nepal, 1.83–3.82 t dry matter /ha could be yielded through 5 harvests during the dry season (Regmi et al., 2009). Worldwide, goose grass (Eleusine indica) is reported to be a pioneer weed in many types of land like cash crop fields and plantations and also in recreative fields (athletes fields, turf and golf greens) lawns especially in compacted soils (Ecocrop, 2019; NCSU, 2012; Jalaludin et al., 2010; Swarbrick et al., 1997; Henty et al., 1975 cited by US Forest Service, 2018). In Sierra Leone, in cattle enclosures, it was found to be the first and dominant pioneering species of the compacted soil after cattle were let out for free-range grazing (Boboh et al. 1974 cited by Burkill et al., 1985). It is also an invasive weed of rice in Nigeria (Gill et al., 1978 cited by Burkill et al., 1985). It raised concerned in Malaysia as it was reported to be resistant to herbicide glufosinate (Jalaludin et al., 2010). It was found that goose grass (Eleusine indica) contained almost no (0.6 g/kg DM) low condensed tanin content which can be detrimental to digestibility in ruminants (Jackson et al., 1996). Goose grass (Eleusine indica) (particularly spikes) may contain prussic acid (HCN cyanogenic glucoside) in a potentially dangerous amount, and the species is therefore occasionally toxic to calves and sheep (Hanelt, 2001). The leaves are said to contain cyanogenic glycosides which are harmful to stock, especially when the leaves are wilted (Göhl, 1981). In spite of its good resistance to repeated cutting, moderate drought and shading, very few studies have been conducted on the forage potential of goose grass (Eleusine indica) for ruminants probably because it is considered as a weed (Regmi et al., 2009). Goose grass has however been reported to be grazed by wild game mammals and by buffaloes. In recently planted pastures of Zimbabwe it has been reported to provide the greater part of grazing in the first year (Chippindall et al., 1976). Goose grass is regarded as good cattle fodder in India (SEPASAL, 2019).) http://apps.kew.org/sepasalweb/sepaweb#ref1340). Goose grass (Eleusine indica) was well accepted by cattle when allowed to graze various herbage species including weeds, and it was among the more palatable species within eleven species or cultivar tested (Nashiki et al., 2005). This result is in accordance with a more recent observation where goose grass was also well accepted and consumed by goats when offered with a limited amount of corn grain (Regmi et al., 2009). 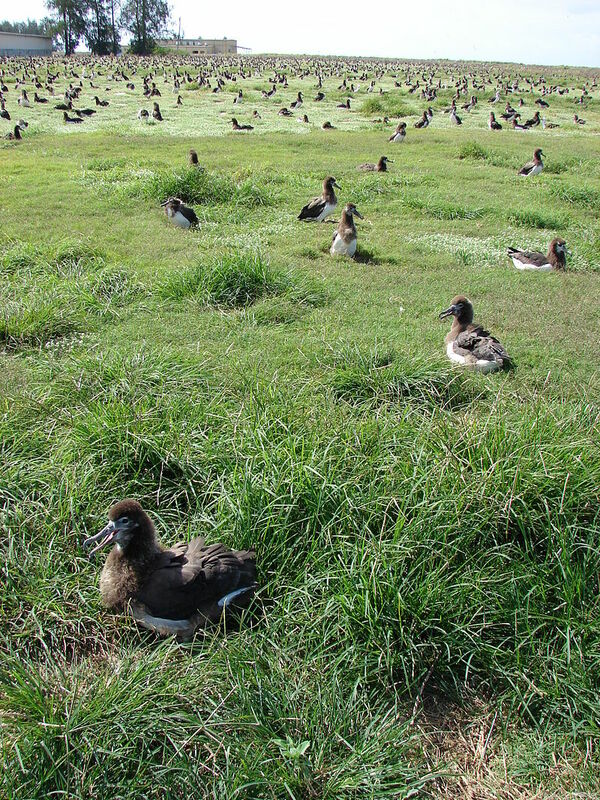 On the contrary, a former experiment had reported that goose grass (Eleusine indica) did not seem palatable to beef cattle when presents as weed in improved pastures in the dry season although crude protein content (121 g/kg DM) and in vitro DM digestibility were fairly good (Nuwanyakpa et al.,1983). There are no information about animal performance. The few results available suggest it could be a good source of forage cut or grazed if used at a young stage as many graminaceous. Literature on the use of Eleusine indica in rabbit feeding is very scarce. However this grass must be considered as a potential feed for rabbits because it is traditionally used by farmers as green forage to feed their rabbits in Central Java during the wet season, and in some areas during the dry season too (Prawirodigdo, 1985). If the protein level is classical for a green grass (12.9%), the calcium and phosphorus contents are very low: 0.2 and 0.1% DM respectively (Asongwed-Awa et al., 2003). Holm, L.G. ; Plucknett, D. L.; Pancho, J. V.; Herberger, J. P., 1977. The world’s worst weeds: distribution and biology. East-West Center, University Press of Hawaii. 609 pp. Swarbrick, J. T., 1997. Weeds of the Pacific Islands. Techn. paper no. 209. South Pacific Commission, Noumea, New Caledonia. 124 pp. Welsh, S. L., 1998. Flora Societensis: A summary revision of the flowering plants of the Society Islands.. E.P.S. Inc., Orem, Utah. 420 pp.